HomeCinemaMasalaBharat schedule for Salman Khan after Ganpati Bappa which will be celebrated at Aayush and Arpita Sharma’s residence this year! Last year, Salman Khan could only attend the Ganesh Chaturthi visarjan celebrations at the house of his sister, Arpita Khan and her husband Aayush Sharma in Bandra but this year he will be in Mumbai for the entire celebrations. 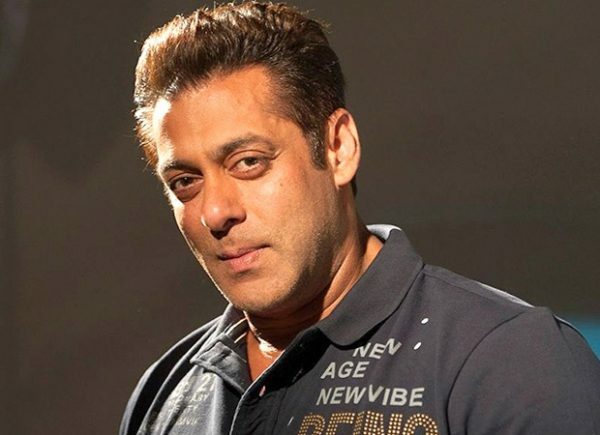 The super star will start Ali Abbas Zafar’s action-packed Bharat schedule in Abu Dhabi once the festival gets over. It’s more special for the Khandaan this year as Arpita’s husband’s launch movie Loveratri releases next month on October 5. Salman and Katrina Kaif have already completed one schedule of Bharat in Malta last month where a couple of songs and some scenes were shot. In the Abu Dhabi schedule, which is scheduled to begin after September 20, the duo is expected to shoot more romantic and action-packed scenes. Bharat is an official adaptation of the South Korean movie, Ode To My Father. Buzz is that Katrina and he will leave for Bharat schedule in Abu Dhabi after that. The actress is expected to join the Ganesh Chaturthi celebrations at Arpita’s home as she’s very close to both the sisters. Salman’s friend Iulia Vantur had also attended the celebrations last year. Salman was seen dancing his heart out to the beat of drums while carrying the Ganesha idol for visarjan. In 2007 the star had gone for Lalbagh Cha Raja in Parel. Ganesh Chaturthi started with the Khan family from 2001 when Arpita insisted. She has always been bringing home an eco-Ganpati idol for the puja and organizing everything herself, single-handedly every year, since then. Does Ziip Beauty Nano Current Zit Device Really Work?